Description: Finally, the collaboration many have been waiting for – Burch and Spyderco. Michael Burch is one of the hottest knifemakers on the planet right now, with demand that is through the roof. 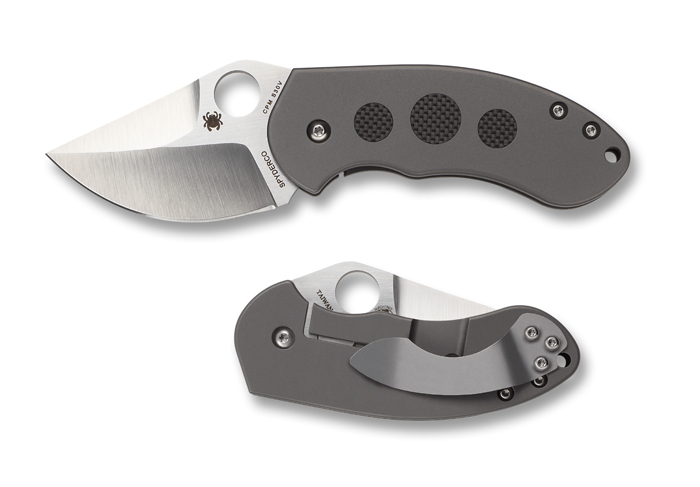 Now that he has licensed a design collaboration with Spyderco, many of us mere mortals can afford one of his pieces! This entry was posted on Wednesday, November 12th, 2014 at 3:24 pm	and is filed under 2" to 3" Knives, Designer - Michael Burch, Features - Screw Construction, Handles - Carbon Fiber, Handles - Inlays, Handles - Titanium, Manufactured - Taiwan, Steel - CPM-S30V, Type - Folding Knife, Type - Little Big Knife. You can follow any responses to this entry through the RSS 2.0 feed. You can leave a response, or trackback from your own site.